St John the Divine is an inclusive church, which welcomes people of all ages to join in the weekly worship and enjoy the friendly atmosphere. The impressive church interior is bright and airy throughout the year. The population in the St John’s district reaches over 4,000 and sits within the parish of Merton Priory in the Diocese of Southwark, which covers 300 other parishes in and around Kingston upon Thames. 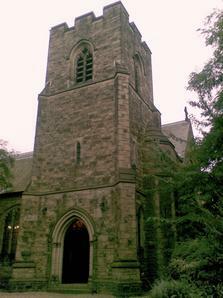 The church was built in 1914 and recently celebrated 100 years as the Parish Church. The church is somewhat hidden away on High Path, SW19. It is well worth a walk down High Path, to discover this wonderful Parish Church.